Life can get pretty stressful, between school, travel, and other demands of life things can get more than a little hectic. Simple things like having a clean house is one of the key things that helps me to de-stress and stay organized. Combine cleanliness with great scents – and you’ve got a winning combination. I usually keep candles around the house and burn them pretty regularly because they make the house smell good, like home, and helps me decompress. However there’s one room in the house that takes a little more TLC to maintain its cleanliness – you’ve probably guessed it – the bathroom. I’m already a massive fan of Soft Scrub so I was really really excited to test out their new 4-in-1 Toilet Care rim hanger! The 4-in-1 Toilet Care cleaner comes in two scents: Sapphire Waters, and Alpine Fresh – which is the one I received. What it does is it cleans your toilet, prevents future buildup, fights toilet ring, and freshens for up to four whole weeks! It does a great job keeping away that dastardly toilet bowl ring – which means less spots to clean, and less to stress about. Unlike other rim hangers Soft Scrub’s 4-in-1 Toilet Care doesn’t melt away after a few flushes, it actually lasts quite a while! And I love the product design too! I really liked the scent of the Alpine Fresh one, it smells fresh and clean, sort of like the original pine sol – but lighter. What’s really great is that not only does it last for a really long time, but it costs less than $2.00!!! That’s definitely a deal! 2. Let Soft Scrub know on their Facebook page that @The nyc talon sent you! 5. Leave a comment on any non-giveaway post – like this one here! 7. Retweet THIS <—click here! Previous Post Get Playful with the Y-Volution YGlider! The 4-in-1 looks interesting. Would love to try it in my toilet. Thanks for the review! I like Soft Scrub on facebook. I entered the Brighter Bowl Sweepstakes. 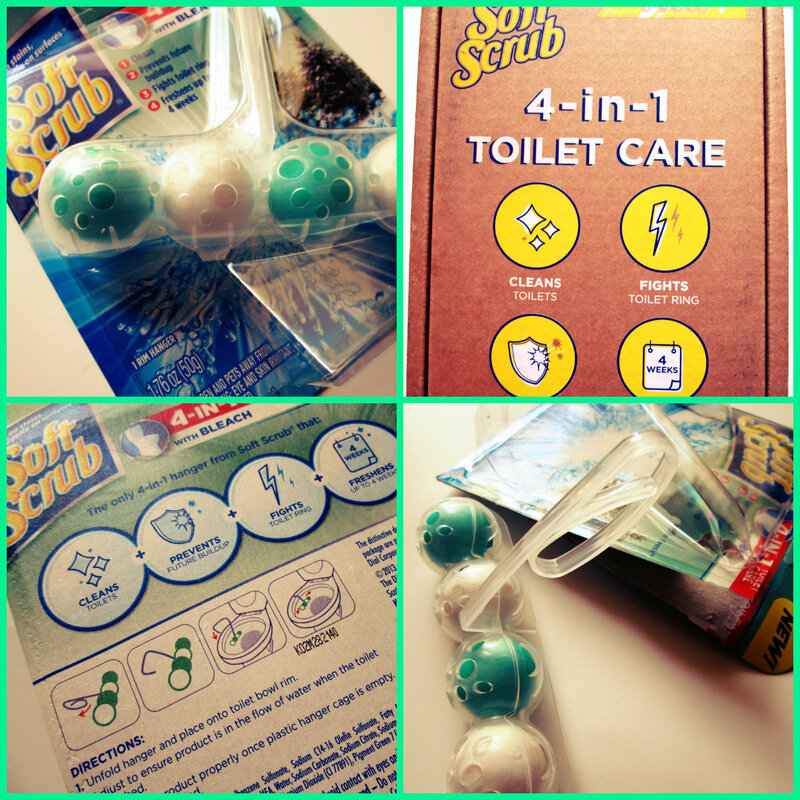 Let Soft Scrub know on their Facebook page that @The nyc talon sent you! I like soft scrub on fb. I Like Soft Scrub on Facebook as June Lisle. I like softscrub on fb. like soft scrub on fb…. Left Comment on GET PLAYFUL WITH THE Y-VOLUTION YGLIDER! I have liked Soft Scrub on FB. I posted on their page that you sent me. I like The nyc talon on FB. I entered the sweepstakes! THanks! I retweeted. YAY! Hope I win! I li eSoft Scrub on FB. I thanked Soft Scrub on their FB page. I entered the brighter bowl sweeps!